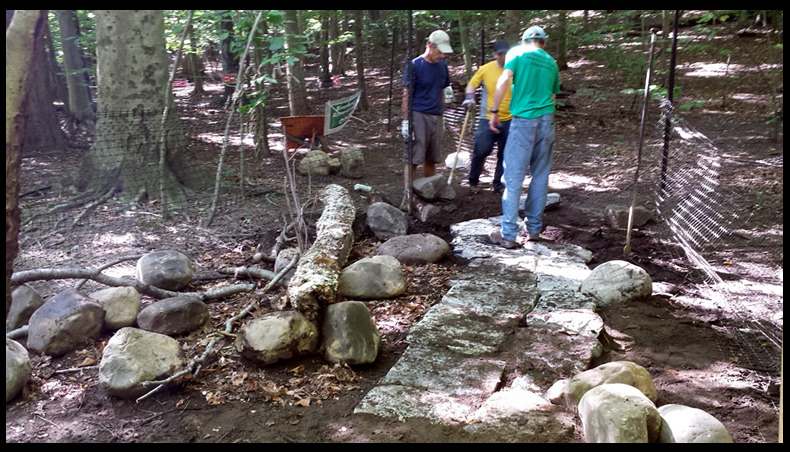 For our September 7 monthly trail work session we partnered with the Fairfield County Chapter of the New England Mountain Bike Association (FC NEMBA). FC NEMBA brought their new tool trailer complete with chainsaws, wheel barrows, and about every tool for trail work under the sun, all of which came in very handy for our great work day. The event was a success in that we were able to attract a number of new faces and break into 3 work groups for the session and accomplish all of our goals for the day. 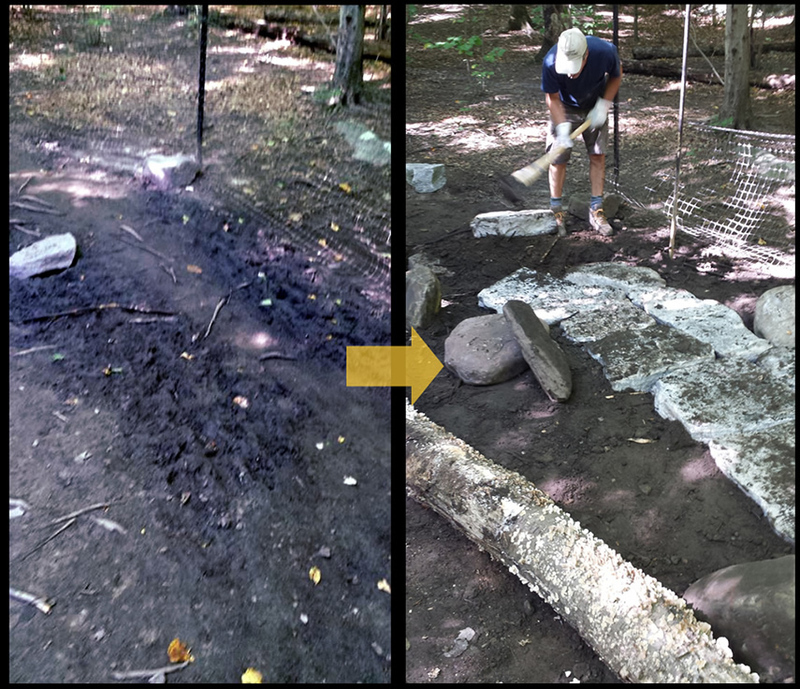 A second group pruned back foliage that was growing into the trails. 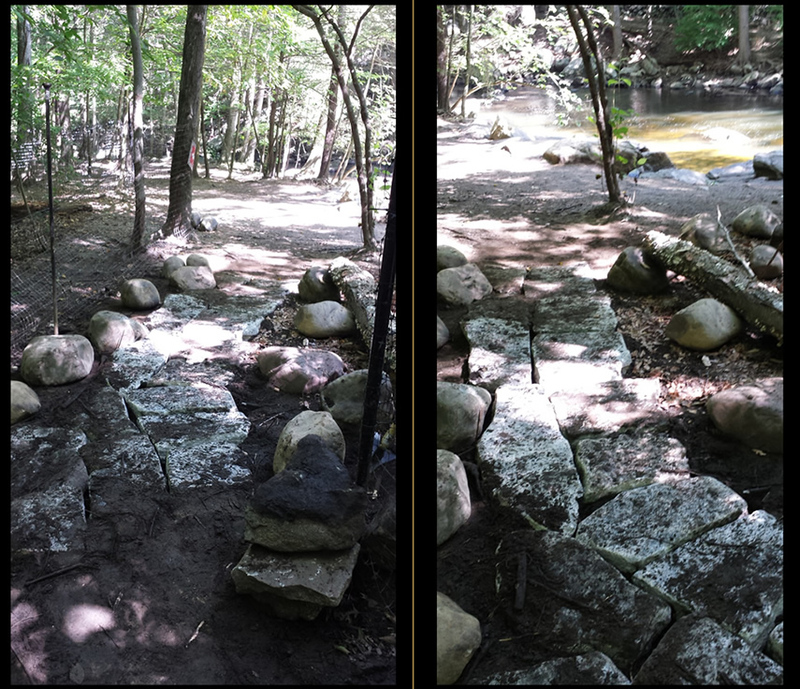 And a third group cleared trees that had fallen on the trails in Treetops State Park, which borders the south end of the Mianus River Park. After a successful day of hard trail work, 8 of the volunteers were able to join FC NEMBA for lunch at a local pizza place: Coal House Pizza. 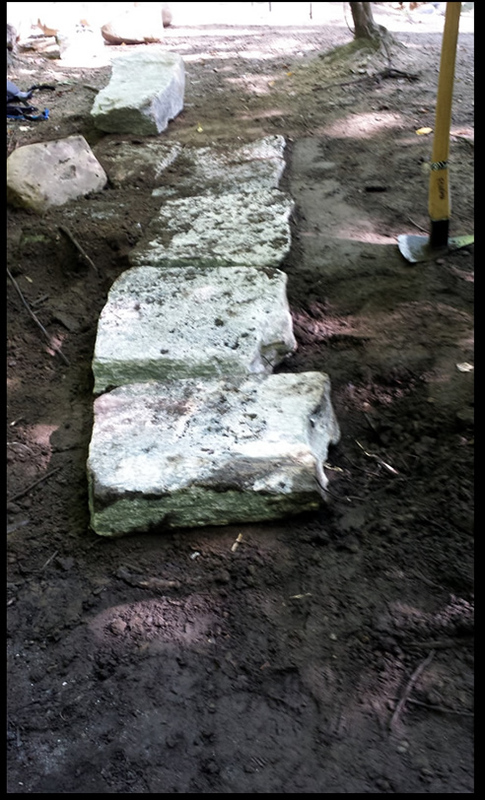 FC NEMBA graciously picked up the tab as part of their Fairfield County Trail Maintenance program funded by a grant from REI Norwalk. A big thanks to FC NEMBA for their support of the work session and social gathering with food afterward. We hope you can join us in the future, sharing camaraderie and giving back to this wonderful park we all enjoy so much. See you the first Saturday of each month at 8:45am at the stone bridge on Merriebrook Lane in Stamford.